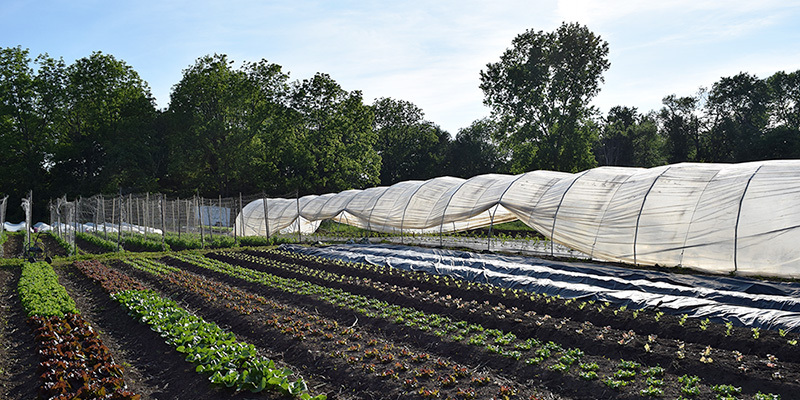 As part of the Roulant’s mission of building a food system that is healthy, just, and sustainable, Santropol Roulant farms a 3-acre plot of agriculturally zoned and organically certified land in Senneville. The farm was co-founded in 2012 by Santropol Roulant and Howard Reitman. 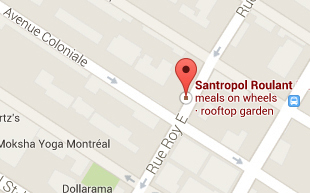 It can be found on the western tip of the Island of Montreal. This land supports the production of fresh produce for our kitchen programs and our organic baskets. Initiatives such as our solidarity baskets and meals-on-wheels contribute to making organic produce accessible to all, regardless of socio-economic status, level of mobility, or degree of autonomy. The farm also plays an important role in training the next generation of farmers. Every summer, we hire passionate young farmers. We also educate Montrealers on the importance of organic and local agriculture through our events like the Community Farm Day. nous aimerions visiter votre ferme samedi matin vers 10 heures, nous sommes 3 étudiants de Mccill of University, EST-CE POSSIBLE? Bonjour, vous pouvez écrire à clemence@santropolroulant.org ou adam@santropolroulant.org pour avoir une réponse. Bonjour, malheureusement ce n’est pas possible pour demain! I would like to know if you need volunteers to harvest the crops or do other work out in Senneville. I have transportation and decades of general gardening experience. Hi Laurel. Thanks so much for your interest in volunteering at the farm! I will pass your message on to Ben, whom you can reach by email. In the mean time, I invite you to fill out the volunteer form here: http://santropolroulant.org/en/volunteer-with-us/new-volunteer-form/. We will be in touch soon!